The Korean spices and marinates used on our meats plus our own Roja salsa that uses fermented Korean chiles along with fresh fruit, eaten with a ﬂour tortilla, results in a “feeding experience”, rather than “just another lunch or dinner”. Our recipes are all original and all foods made from scratch using local meat purveyors and local fruits and vegetables. Our “World Famous Sauce” goes well on everything particularly with our 5 spiced fries and our delicious Kobe Beef Sliders. 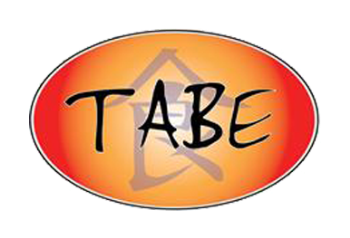 Tabe BBQ offer all types of catering for different sizes of parties from back yard grill parties to formal weddings to staff appreciation. Tabe’s unique taste will be a talking point of your event for all the right reasons. Social media has made the gourmet food truck industry strive in San Diego and now there are over 80 different trucks serving the community but despite the added competition Tabe’s ideals of serving high quality food with a unique taste at affordable prices has never altered. So look us up, ﬁnd out where we are and come along to enjoy a Korean BBQ/Hawaiian/Mexican meal today. Or believe our social followers and just book us for your event. Food is an art form, like sports, music and dance it should have no borders, no restraints, no ceiling, Just pleasure, my friends, pure and unadulterated pleasure.